Laura was born in Greensboro, North Carolina, attended North Carolina State University and graduated in 1980 with a Bachelors of Arts in Business Management. She moved to the Nashville area in 1980 as a Sales Manager for Apple Computer. Establishing the retail dealer network, and selling to the education and corporate market for the State of Tennessee. Laura was a Top Producer and was instrumental in achieving millions of dollars of sales for Apple Computer in Tennessee. Laura opened Executive Travel and Parking in 1986 serving corporate travel accounts and offering tour management travel services to the music industry. In 1994 Executive Travel and Parking began offering the first valet parking and shuttle service for the Nashville Airport. Initiating the concept of “service while you fly” offering auto detail, gas and auto repair services for the business traveler. The business was sold in 1996 to former Christie Cookie Executive, David Hornsby. After a year off remodeling a vacation home in Naples, Florida and a permanent home in Nashville, the real estate market caught her attention. 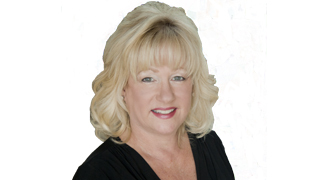 Laura got her real estate license in 1996 and joined Shirley Zeitlin & Company, Realtors. Laura has specialized in new construction, including selling the raw land to the developer, selling the lots in the development and selling the speculative built homes or condos. Laura sells all price range homes and enjoys working with Buyers and Sellers in all segments of the Real Estate market. She is professional and knowledgeable in providing excellent real estate services. Her expertise has resulted in her being ranked in the top 5 in sales in the Middle Tennessee Residential Real Estate Market. She is also a Lifetime GNAR Diamond Elite Awards of Excellence Recipient from 2006 to 2017. In October of 2004, Laura joined Worth Properties, Nashville’s “Sign of Distinction” in the real estate market, located in Burton Hills in the heart of the coveted Green Hills community. Laura lives with her husband of 30 years, and three special Maltese dogs. They enjoy the beach and traveling.